Europe is the place for tradition, culture, art, music and glorious history that is still alive in the very air of this continent. As a European country, Germany is not an exception, yet it has its unique features that are quite different from the other parts of this continent. 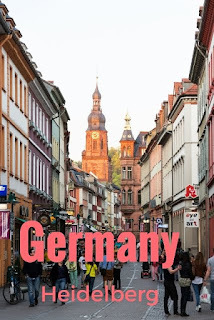 I started my German travel in Cologne, from there I headed to Koblenz, Heidelberg, Freiburg, Munich, Berlin, and Hamburg, stopping in several places along the way, during my 2nd visit most of my time was spent in Frankfurt. Transportation: I mostly used rideshare, found it to be the cheapest way to travel in Germany. There are several rideshare/carpool services operating in Germany. I did hitchhike twice also. For hitchhiking I tend to look for rides near Gas stations, close to freeways. Travel Tip: Germans prefer cash over credit or debit Cards. Once you travel to Germany, you will realize that this country is more than the Engineering wonder of the world. It has a multicultural mix with modern cosmopolitan cities and the beautiful small towns and the villages. Where there are cosmopolitan cities like Berlin, Frankfurt, Munich etc, there is also marvelous countryside with an excellent view of Bavarian Alps. There are also romantic river valleys and miles and miles of enchanting vineyards. Heidelberg is a university Town. Germany's oldest university dating back to 1386. There is a pedestrian mall that runs the length of the historic city center which cover a good part of the town. Things to do are: See Heidelberg Castle, the castle is on a hill with Amazing views. Hike to Philosophers' Way which will get you to an old Theater, starts across the river from the old town, again great views. The capital and largest city of Berlin is a lively metropolitan city. This city encourages new ideas every day. The Theaters, concerts and operas of Berlin are quite packed of International and famous artists and Thousands of spectators. The history of this city is also important while we are mentioning this city. This city has shaped the great Einstein, Marx and many other important characters in the world history. • Don’t miss a trip to see the great Berlin Wall. It can be said as the symbol of the Cold War and Berlin itself. Though the original wall does not remain till date, you can still feel the glorious history even now. • Build in the 19th Century; the Reichstag is the Parliament of Germany. It has been burned, bombed and rebuild throughout the years. It is one of the most iconic buildings in Germany. Do take a 360-degree view of Berlin City from the glass dome of Reichstag. Close to Reichstag, you can find Brandenburger Tor, which is the former gateway to this city. 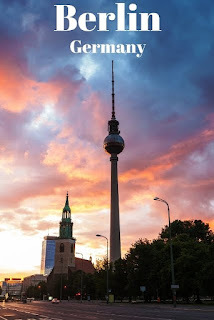 • The television tower or Fernsehturm is visible from the most part of the Berlin city. 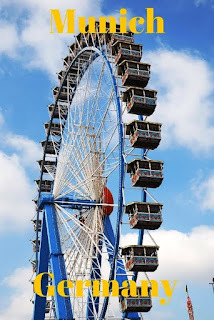 It is situated on the well known square of Berlin, Alexanderplatz. There is a watch tower and a rotating restaurant on Fernsehturm. Also, when you are in Alexanderplatz, do take a tour of Red City hall, the little Marienkirche and the Weltzeituhr or the World time clock. • There are also museums and art galleries in this city, like The Pergamon Museum, Neues Museum and the art museums like Deutsche-Guggenheim. Munich or München in German - This city is mainly known for its proximity to Italy, Czech Republic, Austria and the Alps. This vibrant city is slightly more expensive to live compare to the other cities of Germany. The travel of Munich also includes the green countryside situated just outside this city. Apparently this city is best to be based on if you want to enjoy the beautiful countryside of Germany. In the late medieval period, this city was quite rich for the salt production of this area. This city was also the base for German Counter reformation and the Renaissance Art Movement of Germany. Today it is one of the major economical cities of not only Germany but also of the whole world. • While visiting Munich try the famous sites of this city, do visit the beautiful Cathedrals of this city, like the Frauenkirche Cathedral. It is the largest catholic church in this city. The other famous churches of this city are St. Peter, St. Michael's, Theatinerkirche St. Kajetan, Bürgersaalkirche, Dreifaltigkeitskirche, St. Anna Damenstiftskirche etc. • Even if are not a fan of fan of beer, you need to visit the beer hall of Munich, Hofbräuhaus am Platzl. • Take a tour to the famous museums of Munich, like Bavarian State Museum of Ethnology, Haus der Kunst art museum, Pinakothek der Moderne, Bavarian National Museum, science museum The Deutsches Museum etc. The main financial and business center of Germany, Frankfurt is famous for its world famous skyscrapers and latest architectural beauties. This city is the financial centre of the total Continental Europe. This city is famous for its contrast cultures. Where in one side there are amazing skyscrapers, on the other side there are old buildings with traditional architectures. This city is where the European Central bank is located. Yet this fast paced city is very much place to have a party, roaming around the River main and having a taste of the International cuisines. • The old center of the city is called Römerberg, where you can get a glimpse of old architecture. Some of the buildings of this place are dated back to 15th Century. The town hall is called the Römer. The 14th Century gothic cathedral is called Dom, which is located just next to Römerberg. • Take a walk though the famous pedestrian bridge Iron Bridge or Eiserner Steg. • In the centre of the city, the old opera building or Alte Oper is another important building you cannot afford to miss. • Take a look at Frankfurt stock exchange building or Börse. This is another amazing piece of architecture. • On the south of the main river, the Sachsenhausen part of the city is another famous old part of this city. The great combination of old and new is the main attraction of the city Frankfurt. Germany is not only about the glamorous cities, the countryside of this country is equally gorgeous. • Just 100 km away from Berlin, check out the region of Spreewald. This woodland region is an unspoiled countryside comprising some small villages, towns and amazing nature. The extreme nature lovers can stay in the boathouse that can be rented in this area. • The region Upper Franconia is called the Tuscany of Germany. It is also famous for the large number of beer breweries of the world. The old castles with the amazing landscape are a treat for all kind of travelers. • Check out the biggest Cultural monument of the Europe, the Roman Limes, in the region of Giessen. • For the adventure sports of the winter, like skiing, sledding, hiking, you can take a tour of Winterberg. Do include Germany in your European itinerary, Just land in any part of Germany and it must have something unique in store for you.